Prices are quoted per person on a twin share basis and do not include international flights. 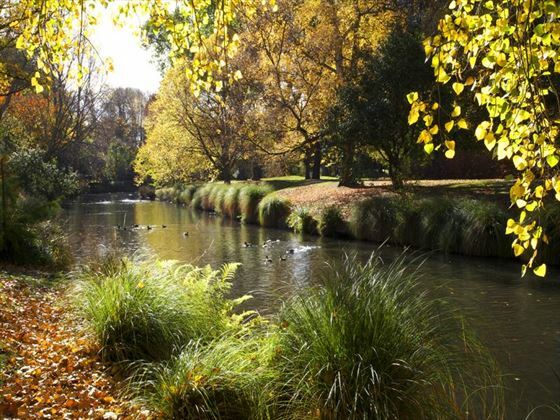 When you arrive you’ll be met at the airport and transferred to your accommodation in Christchurch. The rest of the day is then free to get to know the city or just to relax in your room. Today you’ll pick up your car which will be a Ford Focus or similar. 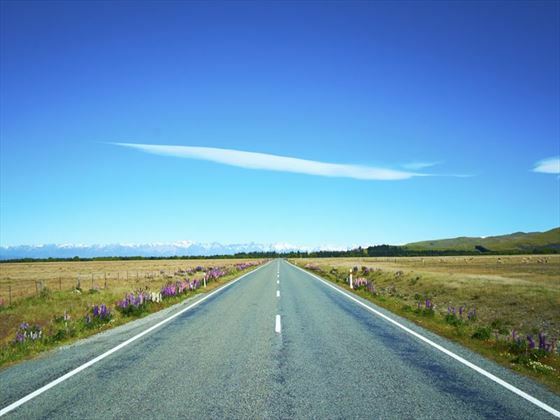 Then it’s straight out onto the open road as you cross the pretty Canterbury Plains along the inland scenic route. You’ll stop off for a quick break in Geraldine before reaching Mackenzie Country. Traveling up Burke’s Pass you’ll reach Lake Tekapo, one of the huge Southern Lakes. Here you can either take in the stunning views from the shore or opt to take a scenic flight over the water for something truly special. 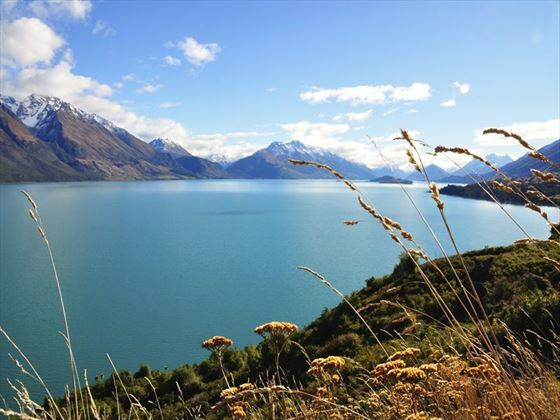 You’ll then head on to Lake Pukaki, which enjoys stunning views of Mt Cook which overlooks the lake. 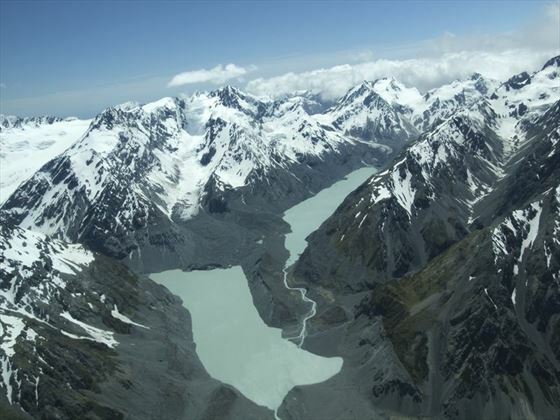 Following the side of the lake you’ll reach Mt Cook Village where you’ll settle into your accommodation. 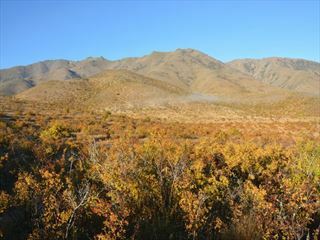 You’ll then have the rest of the day free to explore the surrounding area and enjoy some of the activities on offer. Opt to visit the Sir Edmund Hillary Center which looks at the history of the Mount Cook region, or take a 90-minute four-wheel drive adventure into Mt Cook National Park to visit the country’s longest glacier, Tasman Glacier. 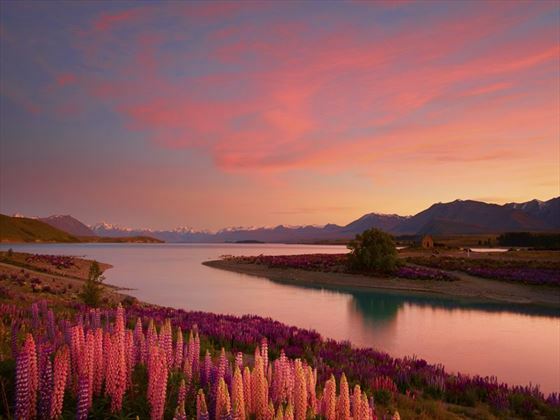 On day three you’ll head away from Mt Cook and visit Twizel, famous as the location from many of the scenes in the Lord of the Rings movies. You’ll then head southwards through the Waitaki Valley from Omarama to Oamaru where you’ll find the beautiful white stone buildings and blue penguins coming ashore at dusk. You’ll then head onwards to the unique Moeraki Boulders before arriving in the Scottish-influenced Dunedin where you’ll see some of New Zealand’s most impressive buildings. 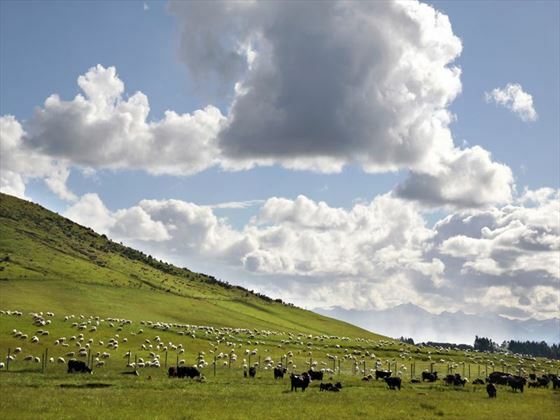 Today you’ll drive to Te Anau, passing through pretty Southland farms. You’ll then pass through The Catlins area along the beautiful Otago coastline and will reach Invercargill where you’ll find a pretty mix of Victorian, Edwardian and Art Deco architecture. You’ll then travel onwards through fishing towns to Manapouri where you’ll catch a day or overnight cruise to Doubtful Sound. 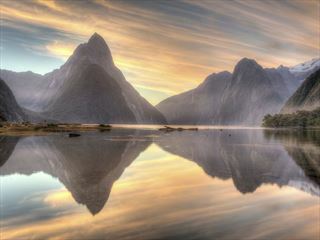 You’ll then head onwards to the lakeside town of Te Anau, known as the gateway to Fiordland National Park and the beautiful Milford Sound. 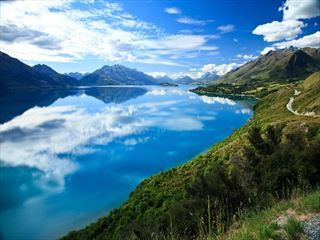 On day five you’ll leave Te Anau and drive through stunning countryside roads to Lake Wakatipu. Heading onwards you’ll be treated to beautiful views of The Remarkables range as you enter Queenstown. 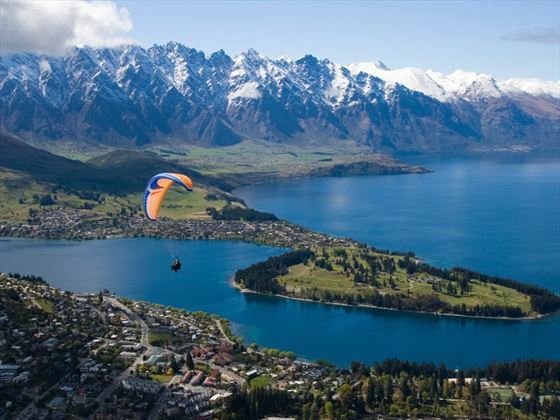 After checking in to your accommodation in Queenstown you’ll have the rest of the day free to explore and enjoy the range of activities on offer. You could ride the Canyon Jet on the Shotover River Canyons or opt for a more relaxed time on the water with a cruise on the TSS Earnslaw to Walter Peak. 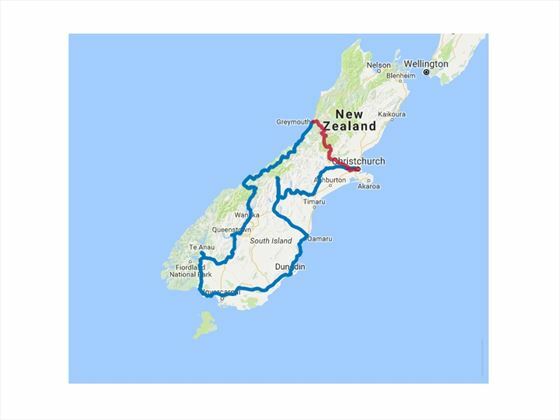 Today you’ll cross the Crown Range, including the highest sealed road in the country, before arriving in Wanaka, a scenic town that serves as the gateway to Mt Aspiring National Park. You’ll then head onwards to the impressive Blue Pools just outside Makarora – you’ll spend 30 minutes walking to the pools through a pretty beech forest. You’ll then drive to the Haast Pass surrounded on all sides by rivers and waterfalls. Travel onwards on the rugged West Coast before reaching Fox Glacier and then finally the Franz Josef township. You’ll then have the rest of the day at leisure where you can choose to take a scenic helicopter flight over the two glaciers or opt to chill-out in the Glacier Hot Pools. Today you’ll drive from Franz Josef to the old gold-mining town of Ross before arriving at Greymouth. Here you’ll drop off your hire car and board the TranzAlpine, famous as one of the world’s ultimate train journeys. 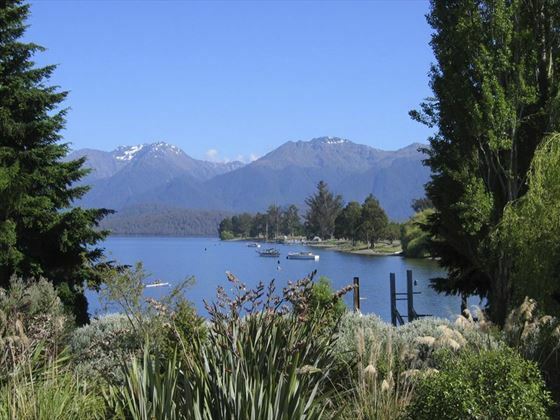 You’ll enjoy stunning views of the Southern Alps as well as river, valley and gorge scenery. Finally you’ll pass through the Canterbury Plains and arrive in Christchurch where you’ll be transferred to your accommodation. Today you’ll be collected from your accommodation and transferred to the airport.